- Installation should only be performed by a trained professional. - Make sure to get 6-8 FULL TURNS of the lug bolts when tightening. 4 Pc Audi Volkswagen Full Hub Centric Wheel Spacers + 20 Black Ball Seat Lug Bolts. Complete Bolt On Kit. 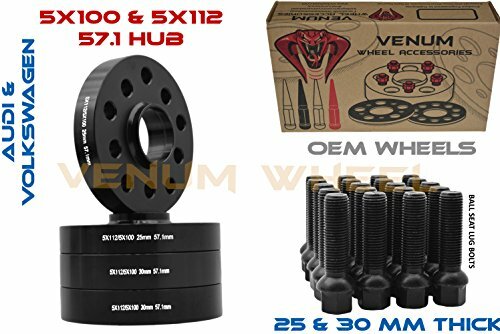 If you have any questions about this product by Venum wheel accessories, contact us by completing and submitting the form below. If you are looking for a specif part number, please include it with your message.